to conduct clinical trials on Essiac in 1959. Rene Caisse in developing an ideal essiac formula. The story of "Essiac" pre-dates the part including Dr. Charles Brusch. It began decades ago when Rene Caisse heard of an herbal recipe from an elderly female patient, who was in an Ontario hospital where Rene was the head nurse. The recipe, containing eight herbs, was given to the woman years before by an Ojibwa medicine man. He offered his help when he found out that the woman was suffering from breast cancer. The patient recovered from her cancer and saw no return during the span of the next 30 years. Rene Caisse, a nurse working in the same hospital as this patient, was astounded at the seemingly miraculous recovery from breast cancer. In 1922, Rene requested to have the recipe of the herbal formula the patient had used. Rene Caisse said that she believed the "tea" could be used to help others. As excited as Rene was about this formula, when the government gave approval for the start-up of a cancer clinic in Bracebridge, doctors soon learned there was only a 15-20% efficacy rate. After a few more years of research, doctors developed a version of the essiac formula that was partially administered by injection. This form of application yielded much more consistent results. However, the medical establishment rejected proposals to allow physicians across Canada to inject the formula, claiming "herbs have no merit." By 1959, Rene Caisse had become increasingly concerned that this valuable formula may be lost forever, since physicians couldn't inject this substance without government approval. Dr. Charles Brusch invited Rene Caisse to the Brusch Medical Center in Cambridge, Massachusetts, in an attempt to develop an oral formula that carried the same efficacy level as the injection. Dr. Charles Brusch and Rene Caisse began their work together in his research facility in 1959. He claims that Caisse gave him the "true original" formula, which contained a total of eight herbs (as compared to the partial four herb formula that she signed over with contingencies to Resperin Corp). The eight herb formula Rene Caisse revealed to Dr. Charles Brusch contained the "Resperin formula" four herbs of Blessed Thistle, Watercress, Kelp, and Red Clover, as well as Burdock Root, Sheep Sorrel, Slippery Elm Bark, and Turkey Rhubarb Root. All of these herbs had been included in Caisse's original essiac blend. Brusch performed eight years of clinical research on this eight herb essiac that was designed to be administered orally. He even took this formula himself when he fell ill with cancer. Brusch made the claim that essiac alone cured his cancer. Dr. Charles Brusch and Rene Caisse performed tests on mice, and also treated terminally ill patients with cancer under the watch of a team of eighteen doctors. Three months later, Dr. Brusch and Dr. Charles McClure, his research director, came to the conclusion that essiac "has been shown to cause a decided recession of the (cancer) mass, and a definite change in cell formation" in mice. Brusch also stated, "Clinically, on patients suffering from pathologically proven cancer, it reduces pain and causes a recession in the growth; patients have gained weight and shown an improvement in their general health...Remarkably beneficial results were obtained even on those cases at the 'end of the road' where it proved to prolong life and the quality of that life...The doctors do not say that essiac is a cure, but they do say it is of benefit." This eight herb oral essiac formula has never been published so as to protect the accuracy and ethical usage of the formula. During a variety of clinical trials, Dr. Brusch and Rene Caisse tried administering capsules, tablets, tinctures, and other methods. The most successful method of administering essiac was to keep the brewed essiac in liquid form, a.k.a. Essiac tea or Essiac juice. 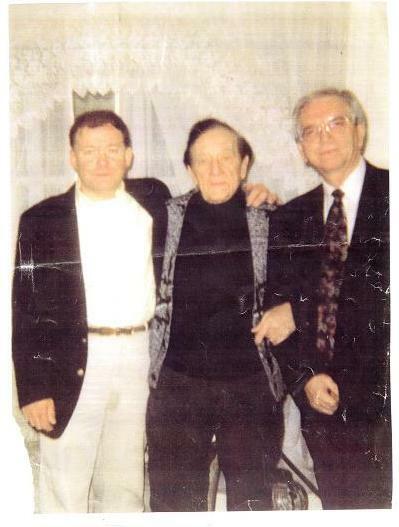 Rene Caisse passed away in 1978, Elmer Gove in 1987, and Dr. Charles Brusch in 1993. There are only a handful of people today who know the ratios of this highly studied eight herb essiac formula. After reviewing the history of essiac, you will realize that four herb formulas were experimented for a brief period of time, but were found to be inferior to eight herb formulas. Now, some websites promote the four herb formula as the best there is, or even the "only" real essiac. The reason many websites claim they have the "real" four herb essiac is because they are referencing a contract made between Rene Caisse and Resperin for research purposes. The fact is, four herb essiac was never preferred be Rene Caisse--and the original formula used on cancer patients in the early 1900s was an eight herb formula. The formula that resulted from the Brusch medical trials was also an eight herb formula. Many companies do not know any of the eight herb formulas, and therefore might simply try to sell you whatever they can (such as the four herb formula, since that formula is in the public domain). At bulk-essiac-tea.com we carry only the eight herb formula developed by Dr. Charles Brusch and Rene Caisse, as we strongly believe that it is the most effective blend of herbs to consume. To summarize, those "in the know" use eight herb essiac, and turn up their nose at the four herb essiac sold at too high a price by almost every herbalist around. Contact us with your questions regarding Dr. Charles Brusch and his connection to essiac.